Where your events can come true! that offers workshops, courses, trainings and specials events that are interesting and beneficial to the community. expansion, mindfulness, music, art, poetry, dance, yoga and all things related. A dining table (12 people) – we can accomodate up to 25 seated people. When you visit Yasmin’s Yoga loft, you experience yoga in a calm, relaxing and unique environment. The spacious and open loft that is cozy and calm and feels like a second home. Yasmin is warm, welcoming and provides a community feeling with all of her students. The Yasmin Yoga Loft offers classes that combine the best of many yoga worlds. Small size classes taught by a caring and excellent teacher in a warm, tranquil place. Simply awesome. From the moment I walked into the loft for the first time I felt comfortable and at ease. The space is beautiful, inviting and has been a perfect setting for the numerous yoga classes and events that I have had the opportunity to attend. I am looking forward to many more experiences at the loft! It really does feel like my home away from home. It’s a welcoming place that has the warmth of a home and the space of a studio. The old brick wall and the view on Old Montreal’s typical architecture bring a sense of timelessness and a great deep energy to my yoga and meditation practice. Most of all, it is the home of my yoga mentor, Yasmin, and it will always be associated in my mind with the year I have spent deepening my knowledge of yoga as well as my love and passion for it. It is where I have started cultivating my meditation and pranayama practises and where I have come to gather with awesome people, yoga students and teachers. 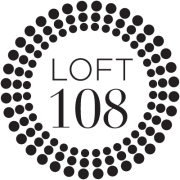 To me, the loft is a wonderful place to grow a beautiful yoga practice and also to build amazing memories. Thank you so much for renting out your beautiful space! It was so special to practice in the space. We practice under the droplets of rain and the slow and peaceful Friday morning. It was a great way to end a productive, hectic, and busy conference. When I am back in Montreal, I will definitely visit you again! 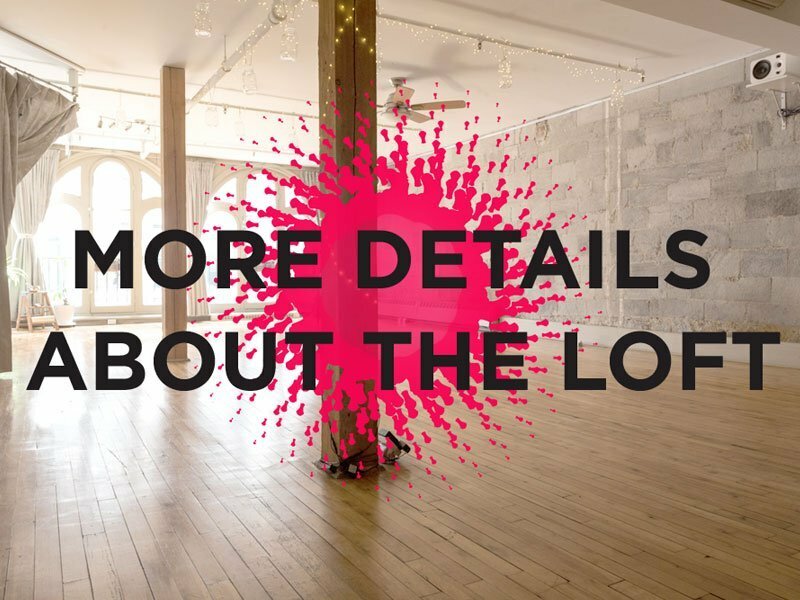 You would like to plan an event at the loft ? We will be happy to help you ! Please complete the form below and we will contact you within 24 hours to confirm the availability. 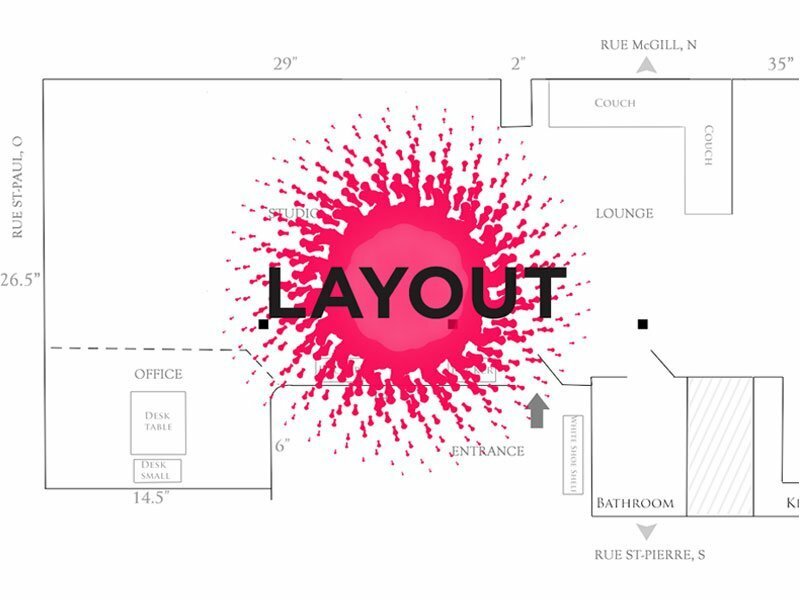 For a 1st rental, we can organize a visit so you can see the space. Otherwise, we will send you a quote by email. Please note that the reservation is confirmed upon receipt of payment. Thank you for your interest and we are looking forward to collaborating with you ! We usually rent by half day or full day. If the schedules below do not fit with what you plan, please check Other.